Google hides more than their share of Easter eggs in their software. Whether it's Google Maps or the search engine itself, you can always find a few. Hangouts is no different. If you know the right thing to enter, you can get some seriously entertaining little extras in your chat. What's even better, the people you chat with can see most of them too. It looks like someone at Google is a My Little Pony fan. Typing /ponies in a chat in Hangouts will cause a cause an animated pony in the style of the popular cartoon to trot across the bottom of your window. They've actually included several different ponies, so entering the command multiple times will let you see a different one at random each time. Then, as if one pony couldn't possibly be enough, you can type /ponystream to see a whole herd of them. Immediately after you enter the command, ponies will come pouring from both sides of your screen in a continuous stream, and they won't stop until you enter the command a second time. This one's a little odd. Typing /shydino into your chat will cause a tiny house to pop up at the bottom of the window. Then, a small dinosaur-looking-thing will slide out from the side of the chat window and hide behind it. The dino will stay there until you enter the command again. Did the person you're chatting with say something particularly frustrating or annoying? Well, type in the /pitchforks command to really get across just how much you disagree. An animated angry crowd with torches and pitchforks will emerge from the side of the window and charge across as if they just got a hot tip that Frankenstein's monster was just spotted on the other side. Tired of the bland off-white chat window? Type /bikeshed to change the background color of the window at random. Enter the command as many times as you like to keep getting new ones. This one changes the background for the people you're chatting with too, so you can really confuse someone who isn't aware of it. If you were a gamer at all in the 90's you know exactly what this one is. The Konami code was a popular button combination that would unlock any number of hidden things in games made by Konami. In the years since the Konami code has been a popular inclusion for Easter eggs among programmers, Google included. Before the fully illustrated emojis of today, there were simple ASCII ones, like :) They've definitely gotten more complicated over the years, with well-known examples like the shrug and table flip. Google clearly understood the obvious value in not needing to type or copy-and-paste these every time, so they included many of them as commands. They even through in a few using graphical emojis as well. It'd take too long to go through all of these individually, so try them out and enjoy. Corgis are awesome, and they're pretty great in Google Hangouts too. Type in /corgis to get an animated corgi to stroll across the bottom of your screen. The person you're chatting will see your little canine friend as well, so this one is a nice way to send a little(literally) surprise. Would it surprise you to know that some of the programmers at Google are nerds that like Dungeons & Dragons? Yeah, probably not. Thanks to them, you can roll a twenty-sided die in you Hangouts chat. In reality, you can roll just about any type or combination of dice. Start by trying a regular six-sided one. Type /roll into the chat. A message will pop up for both you and the people you're chatting with letting everyone know that you rolled and what the result was. You can get more creative with it too. Use /roll3d6 to simulate rolling three six-sided dice. Just like before, you'll see the result in chat. Go ahead and try rolling a twenty-sided one with /roll1d20. It'll work just like you'd expect. This does get kind of weird at a point, though. It looks like Google didn't really restrict things to real or even physically possible types of dice. Try rolling /roll1d3. It still works. This one might not be so useful when talking with just one other person unless you like referring to yourself in the third person. Type /me into the chat to display your name in chat. When you're chatting with a group, it can be easy to lose track of who is saying what, using /me can help people know when you're the one talking at a glance. 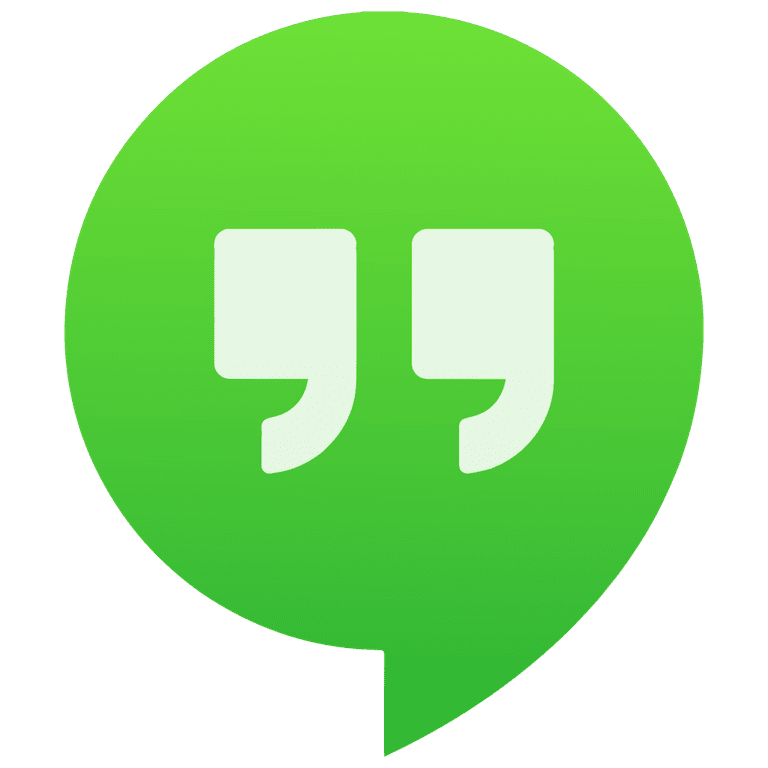 For one reason or another, it appears as if Google has removed a few classic Easter eggs from the latest builds of Hangouts. These were all small animations that would play if you included two exclamation points at the end of certain text. They were fun, but it's pretty easy to see how some people could abuse them, making for one super annoying situation. That's probably the motivation behind Google removing them. Hopefully, though, the option to use them returns. Entering any of Happy Birthday! !, Happy New Year! !, Happy Easter! !, woot! !, or LMAO! !, among several others, would play a short animation related to the event. Most of the animations featured cartoon animals tooting horns and confetti falling. Using Google Hangouts can make keeping in touch with friends and colleagues an easy task. Use some of these tips to take those conversations to the next level.